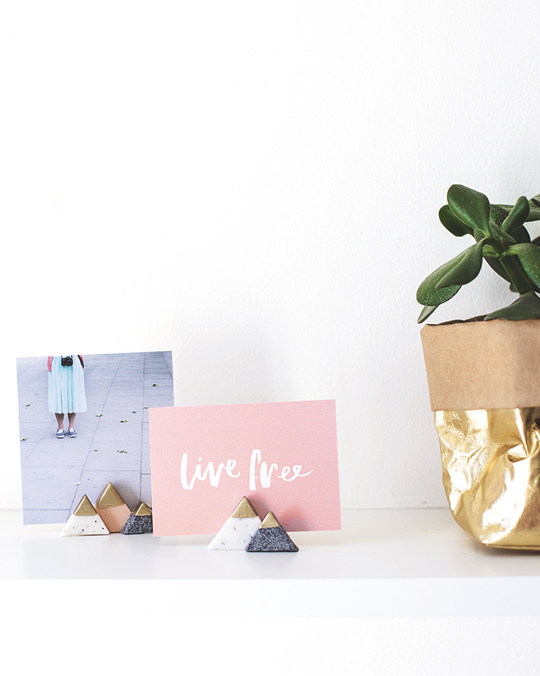 These photo holders are perfect to make during a Saturday crafternoon. DIY iPhone Case via me! 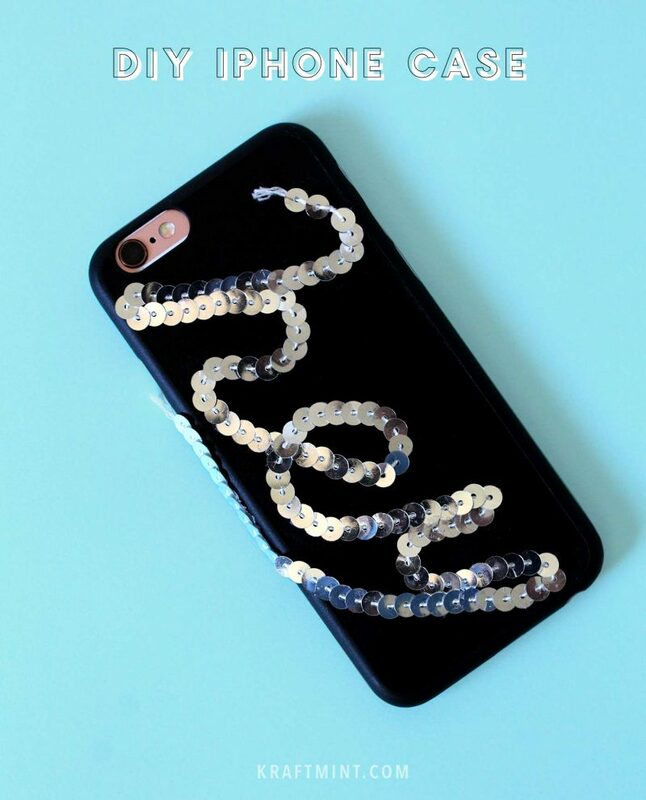 You don’t have to get a new case but instead, try my project and create a new look for your phone case. DIY Painted Flower Mug Vase by Delineate your Dwelling. 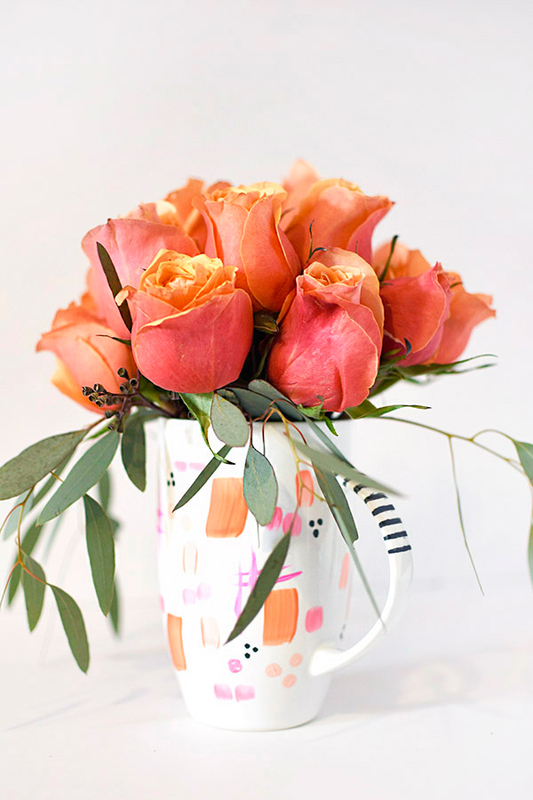 This lovely project entails a coffee mug, paint, and pretty flowers. 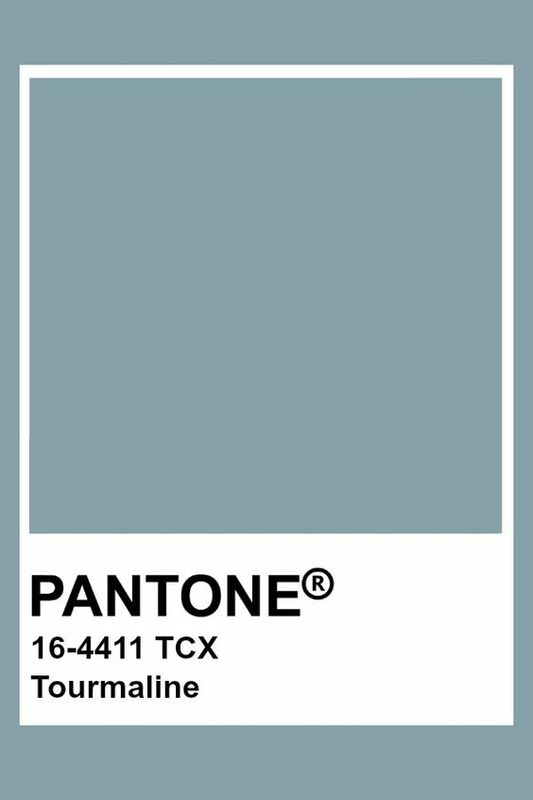 What a perfect DIY for the weekend ahead. 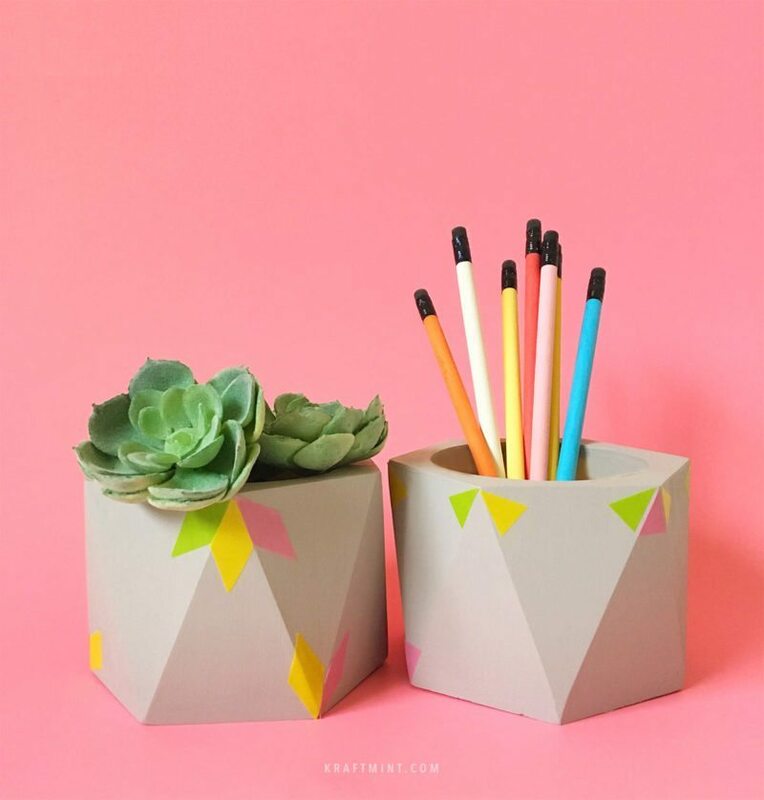 DIY Geometric Vases by me ;) This DIY will give you an excuse to Target and get the materials you’ll need. 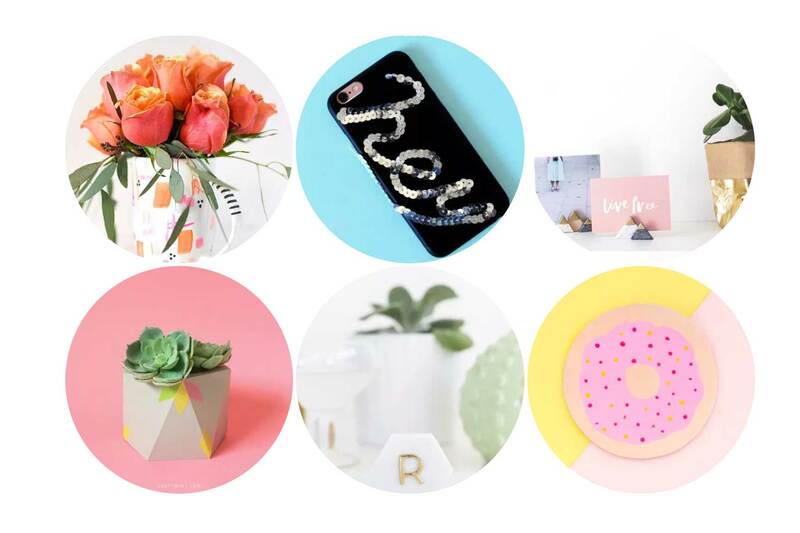 My ake project is super easy and will take you a couple of hours tops. 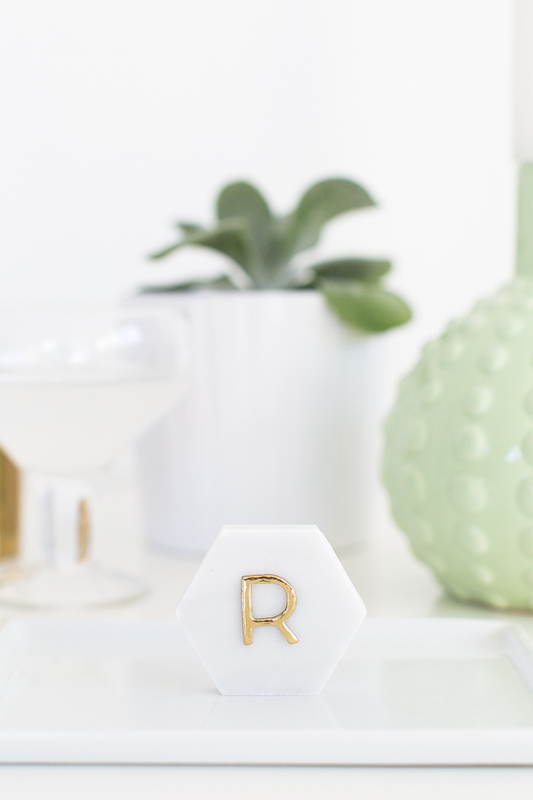 One minute DIY Carrara marble place cards by Sugar and Cloth – Lovely place cards so when you are throwing a party you are ready to go. 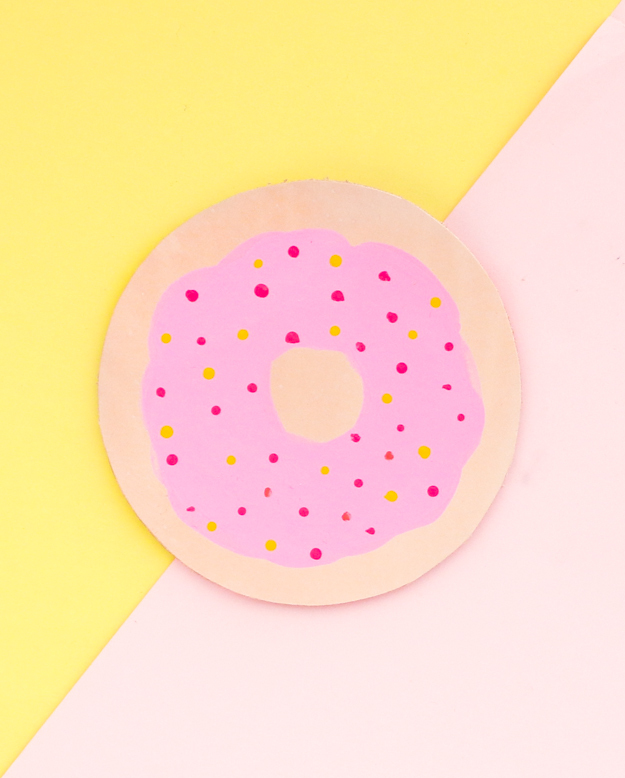 A DIY Donut Leather Card Case by A Kailo Chic Life End of the school of year is here and this leather card case would be perfect for a teacher’s gift.